The famous medieval warrior king of England, Richard the Lionheart was known for his military leadership. The King Richard the Lionheart Sword with Sheath is a remarkably regal decorative blade inspired by this historic ruler. 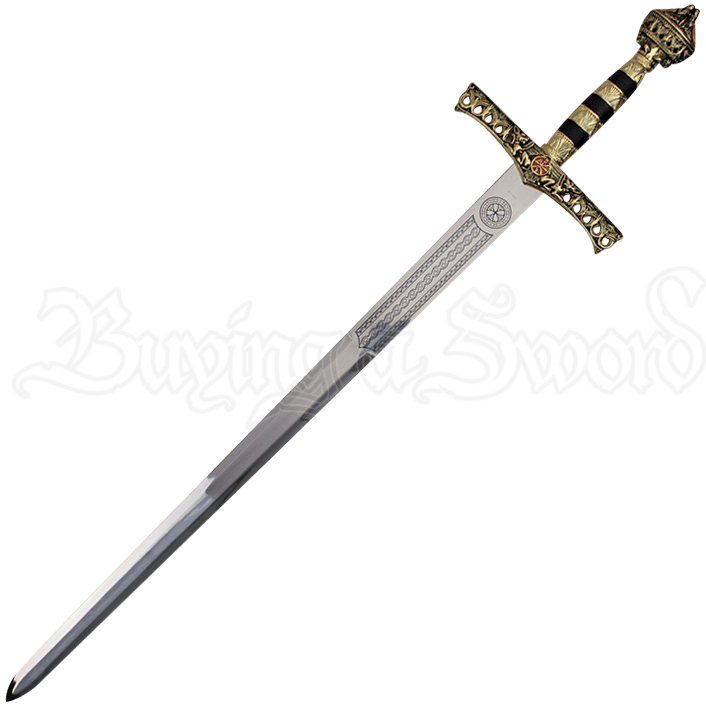 Made of stainless steel, the long blade of this sword features Celtic style embellishments upon its ricasso, next to the crossguard of the sword. Golden tones decorate almost the entirety of the hilt, save for three black bands around the grip and red embellishments that appear at the center of the guard and upon the incredibly intricate, rounded pommel. Heraldic beasts appear on each arm of the crossguard, their heads turned to face the red central emblem and followed outward by ornate curling designs. A hard black sheath is included with this historical replica weapon, featuring matching antique golden detail upon its opening and endcap. 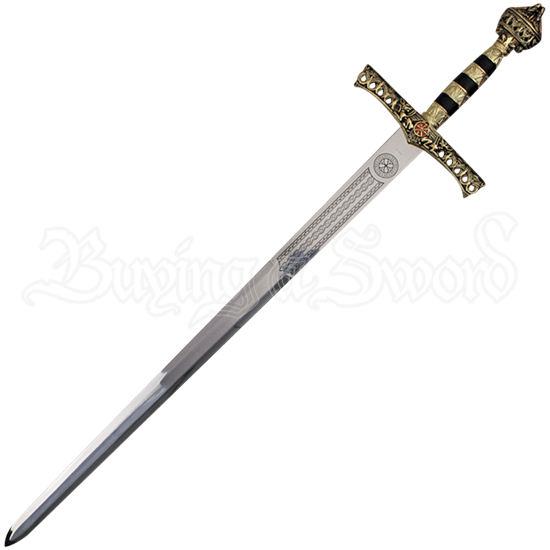 A must-have collectible for history fans, especially those interested in Richard the Lionheart, this decorative medieval sword makes a fantastic display piece or gift.